Learn about our wonderful staff! 1. Most influential teacher during my training as a dancer and WHY? Virginia and Jacques Cesbron-it was through them I was first introduced to ballet when they gave us tickets to see them perform with the Pennsylvania Ballet in "The Sleeping Beauty" at City Center. I was four years old, and we were treated to a backstage tour. That day I declared "that is what I want to do," responding not to what I saw on stage, but rather to the work I saw going on behind the scenes. Ginny and Jacques became my most influential teachers from age 13-17. They guided my training with emphasis on proper placement and alignment while encouraging musicality and artistry. I am forever grateful to them both. 3. My dream vacation spot is: Tahiti Tourisme. 4. My favorite film: No real favorite in this category. 8. My first job was: Babysitting in exchange for private lessons. 11. What is ONE thing that people may not know about you? I was extremely shy as a child and young adult. 13. My Favorite thing about teaching at Eglevsky Ballet: The caring environment created by Maurice Brandon Curry. The genuine personal concern for the development of each student. And, the joy and curiosity and discipline our students bring to the studio with them each day. So many of them-- I always have Leslie Anderson-Braswell in my mind when I am teaching. It was hard to please her, but when you did she made you feel like a million bucks! 6. My favorite ballet: Manon -- love a good tragedy. 12. Do you have a “hidden talent”? Too many!! I cook pretty well. 13. My Favorite thing about teaching at Eglevsky Ballet: The hard work our dancers have committed themselves to impresses me and I would assume all other faculty and guest teachers we host. I also love teaching a non-ballet technique to the dancers! 1. Most influential teacher during my training as a dancer and WHY? Orlando Pena, the Artistic Director of Ovations Dance Repertory Company. I began dancing at Ovations at age 7 and Orlando always believed in me and presented me with many opportunities to perform lead roles throughout my training. 7. My favorite DANCER male and female: So Many! Of course, Baryshnikov and Nureyev were my ballet idols but, outside of ballet, Gene Kelly was a big influence of mine. My favorite female dancer is Margot Fonteyn. 8. My first job was: Working at a dog kennel! Best job ever! 10. If I could eat one food every day of my life, it would be: Sushi !! 11. What is ONE thing that people may not know about you? I love the outdoors, hiking, camping etc! 13. My Favorite thing about teaching at Eglevsky Ballet: My favorite thing is the wonderful faculty and the dedicated students. My childhood teacher in Orlando, Florida Edith Royal. 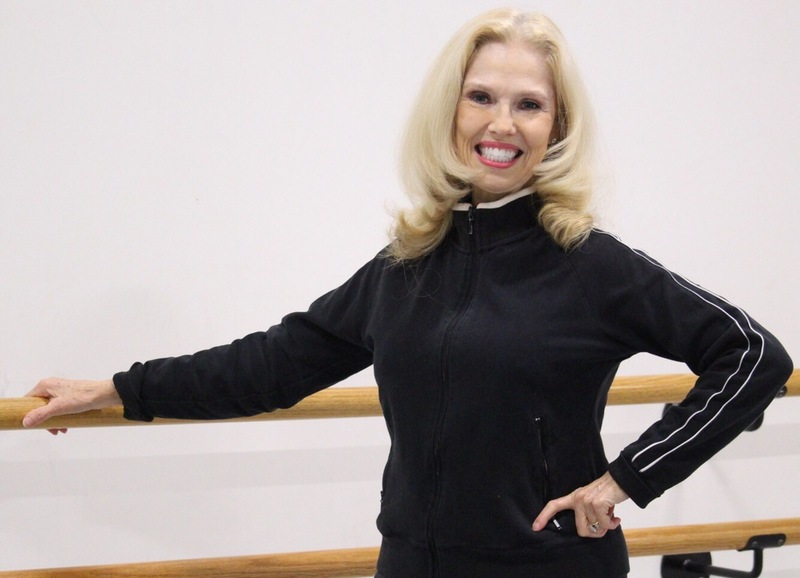 Besides being knowledgeable and an excellent dance teacher, she was loving, warm, funny, and inspiring. The dancers were in awe of her. As friendly and approachable as she was, She also had very high standards and demanded strict discipline which we appreciated. Everyone adored and respected her. In my adult life the most important teacher was David Howard. His deep knowledge of how the body functioned saved my career after an injury. I studied with him for over 30 years. 2. Guilty pleasure tv show or food: I love the tv show, Modern Family. 3. My dream vacation spot is: I suppose my dream vacation spot would be Paris, France even though I have been there several times. I love the French Language and the atmosphere. 4. My favorite film: My favorite film----goodness----I don't know. I have so many. I do adore the films from the 30's, 40's and 50's and English films where there are no car chases, loud soundtracks and foul language. 5. My favorite singer is: Once again, I don't have a favorite singer, but do love the old time dreamy voices like Tony Bennett, Nat King Cole, Frank Sinatra, Johnny Mathis and more recently cabaret singers Michael Feinstein and Michael Bublé. 6. My favorite ballet: I have many favorite dancers. One female dancer I used to love was Marcia Haydee who was the lead ballerina with the Stuttgart Ballet and the muse of the Artistic Director and incredible choreographer, John Cranko. She danced with such passion! As far as male dancers------maybe Anthony Dowell from The Royal Ballet. Let's not forget Gene Kelly and Fred Astaire, though. 7. My first job was: It's hard to remember my first job. The one that made a big difference in the beginning of my career was as a dancer in The Ballet Theatre of Marylandlocated in Baltimore, Maryland. Many of those dancers have become lifelong friends. 8. I’d love to live in: I would love to live in a nicer apartment in Manhattan, New York. 9. If I could eat one food every day of my life, it would be: I would love to eat some type of Chocolate or Vanilla ice cream with Hot Fudge sauce every day if didn't have so many calories. 10. What is ONE thing that people may not know about you? Most people probably don't know that during a long period when I couldn't dance because of injury, I was the Entertainment Critic on ABC TV. 11. Do you have a “hidden talent”? My hidden talent (talents) are twirling the baton (ha ha), tap dancing, cooking for special occasions, and trying to be an artist. I think I'm pretty good at decorating my home, too. What I love about teaching at Eglevsky Ballet--------------------LOTS OF THINGS! First, I love the way Director Maurice Brandon Curry has set up the program. His vision totally syncs with what I believe about teaching ballet and running a fine school.He has high standards, believes in the necessary discipline, but insists that each student be treated with loving concern. Many schools mistake discipline for harshness. That doesn't happen at Eglevsky. Another great pleasure of teaching at Eglevsky is how much the entire faculty loves each other. It is sincere. That means that not only is it pleasant for us to work with people that we enjoy, but we are constantly consulting about our students and how we can work together to bring out the best in them. I had the pleasure of being trained by Mr. Curry and he was, without a doubt, my most influential teacher growing up. We met when I was ten years old and for five years, he gifted me a wealth of useful knowledge, while inspiring my sense of discipline when it came to my technical and artistic development. Knowing how to move the body is one thing, but knowing why is completely different and I believe that my years training under Maurice Brandon Curry developed my physical training as well as my creative spirit. And I’m not just saying that because he’s my boss. It’s absolutely true. 2. Guilty pleasure tv show or food: Tv show would be Chopped. Food is Dark Chocolate. 3. My dream vacation spot is: Any place with warm weather. 4. My favorite film: To be quite honest… Miss Congeniality. Sandra Bullock is a national treasure! 5. My favorite singer is: This is a hard one, as I enjoy many styles of music so picking a favorite singer out of all of the genres is difficult but if I have to, I will say Bob Dylan. 6. My favorite ballet: Swan Lake. 7. My favorite DANCER male and female: Gene Kelly. 8. My first job was: Dancing in the ensemble for a regional production of Oklahoma. 9. I’d love to live in: London, United Kingdom. 10. If I could eat one food every day of my life, it would be: Pizza! Hands down. 11. What is ONE thing that people may not know about you? I’ve performed in forty-nine of the fifty states (just missing Alaska). 12. Do you have a “hidden talent”? I’m a writer as well and am actively producing my own work through stage and online outlets. I love being the contemporary teacher at a ballet school because exposing the students to a dance form that requires them to take their technical training and use it in a completely unrestrictive way is incredibly rewarding work. I’m a firm believer in dance being a way to express any and all emotions and I encourage my students to take my class as an opportunity to open up and release the stresses of their daily lives. Watching them take the material I give them and put their own story behind the movement makes teaching at Eglevsky an absolute joy. Miss Dorothy Lister. She was tough, and her classes were so hard! They sure made me strong though. She pushed me every single day with love, passion, and energy. I learned directly from her that with good old-fashioned hard work and 100 percent effort, you can accomplish anything. In dance and in life. 2. Guilty pleasure tv show: I admit there are quite a bit I love, but right now it's all about Riverdale..
3. My dream vacation spot is Paris, France! I have to pick just two?? Okay..Currently, Male: Steven mcrae of The Royal Ballet School. Female: Tie between Marianela Nuñez of Royal Ballet and Ashley Bouder of New York City Ballet. 9. What is ONE thing that people may not know about you? I have a Blackbelt in Karate. 10. Do you have a “hidden talent”? To make extra money in my dancing days, I became a Ballroom Dance Instructor. It was a lot of fun. 11. My Favorite thing about teaching at Eglevsky Ballet: There is nothing better than seeing our students retain and apply all that we have taught them throughout the school year. You think of all those hours you spent together, working in classes and then they just go out all on their own and apply it onstage. It is a remarkable and beautiful transformation that takes place. It's very special to see. It just makes my heart so happy.